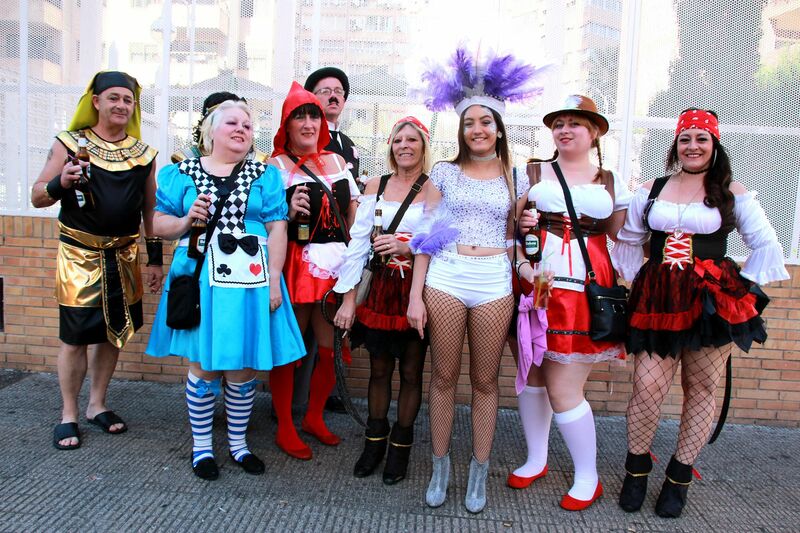 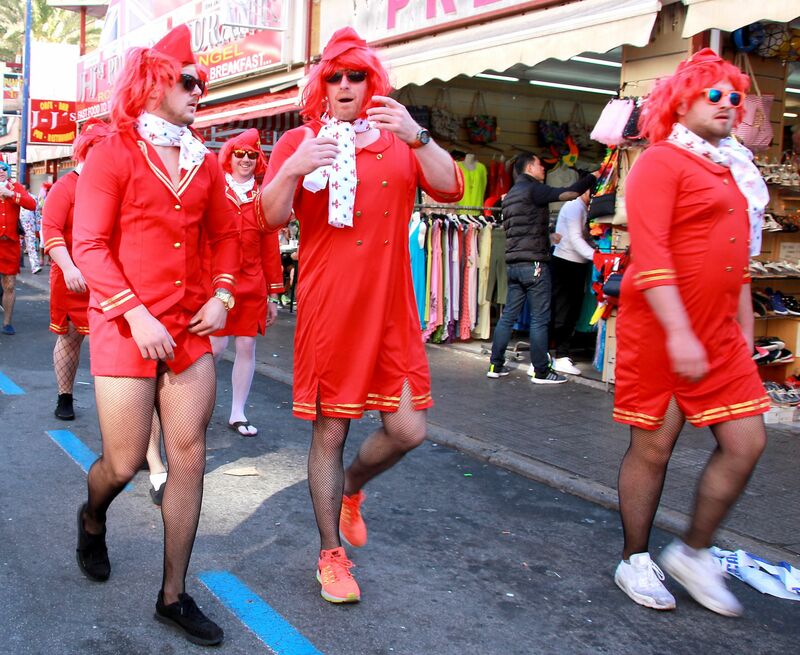 Benidorm’s famous annual Fancy Dress Party takes place on the Thursday after the November Fiestas. 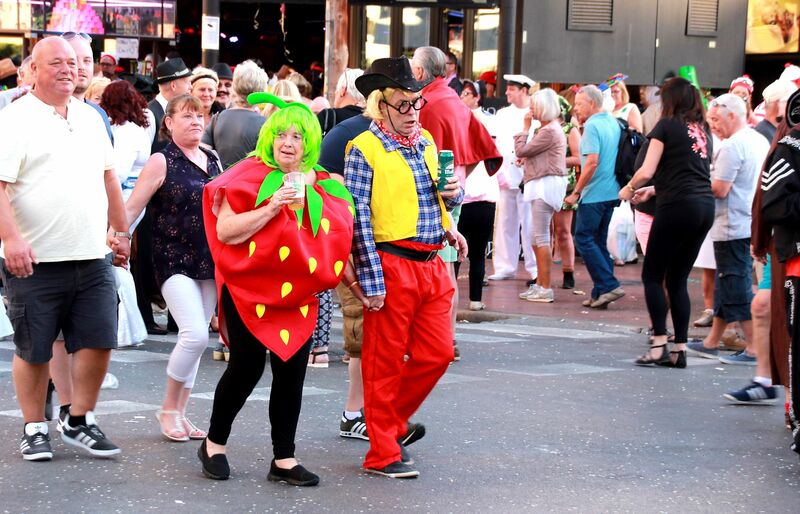 Thousands of British people, both residents and visitors are joined by people of other nationalities to participate in Europe’s biggest fancy dress street party. 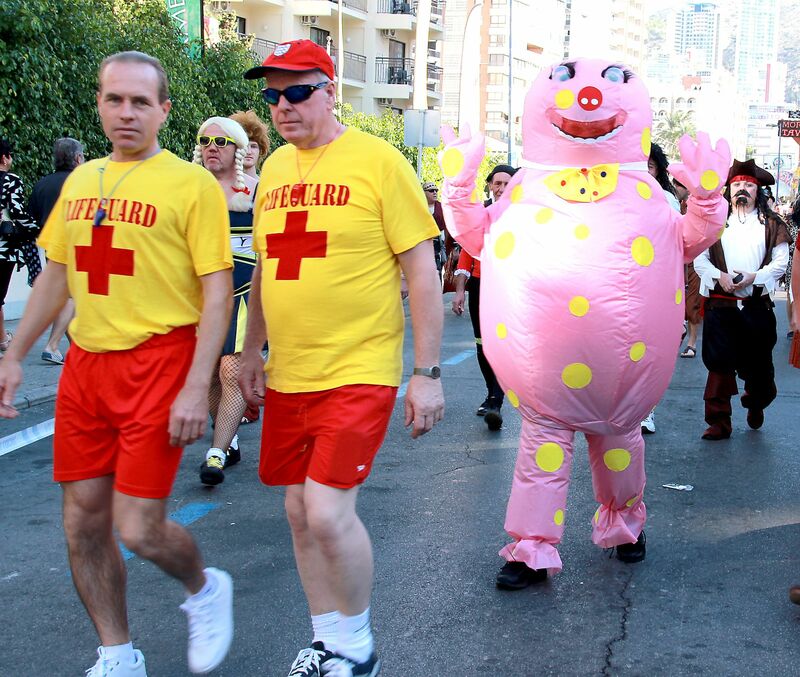 Benidorm’s famous annual Fancy Dress Party takes place on the Thursday after the November Fiestas. 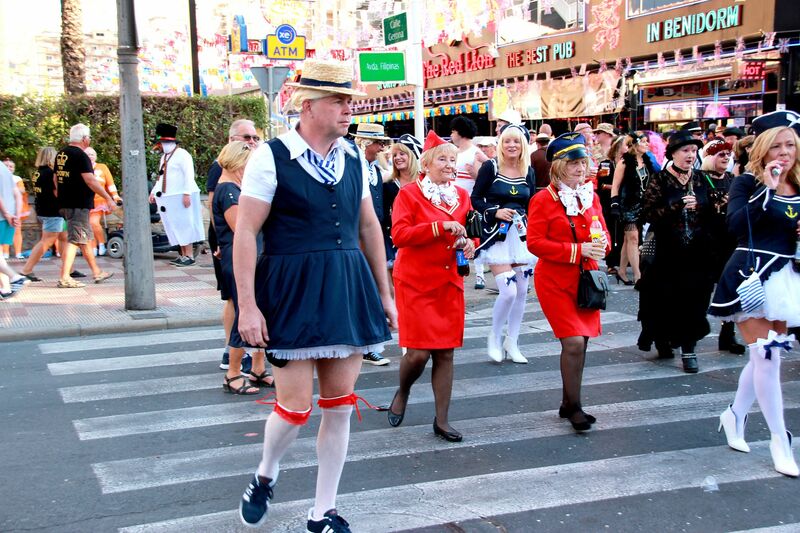 Thousands of British people, both residents and visitors are joined by people of other nationalities to participate in Europe’s biggest fancy dress street party. 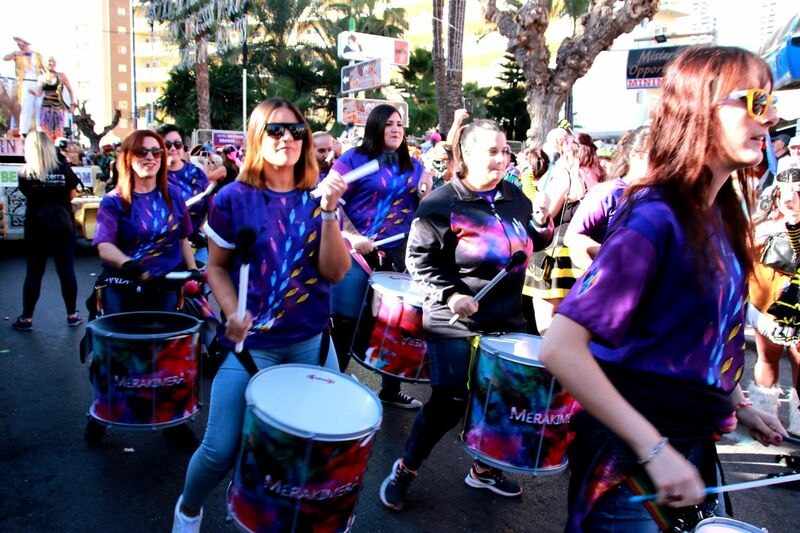 Bars, hotels and entertainment venues along “the strip” join in the celebrations, offering giant paellas, music, entertainers and much more. 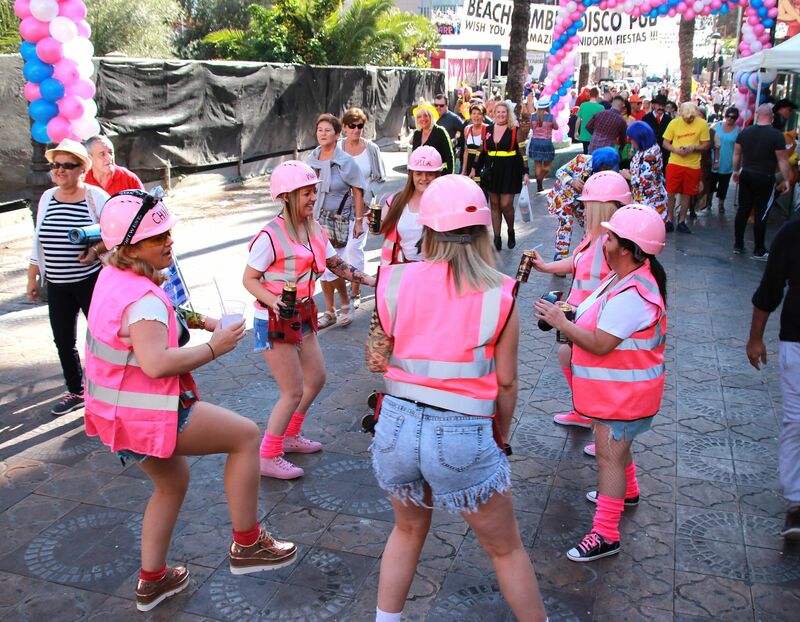 The party gets bigger and better every year, with more and more venues participating, and costumes getting more outrageous each time! 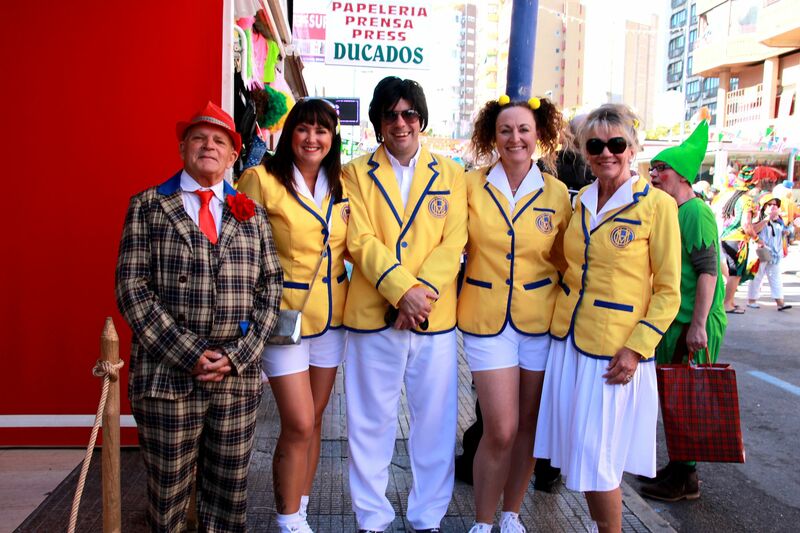 The Round Town Travel staff dressed up as the cast from Hi-De-Hi and we spent the afternoon with many of our customers enjoying drinks on our shop’s terrace, which is right in the heart of the party! 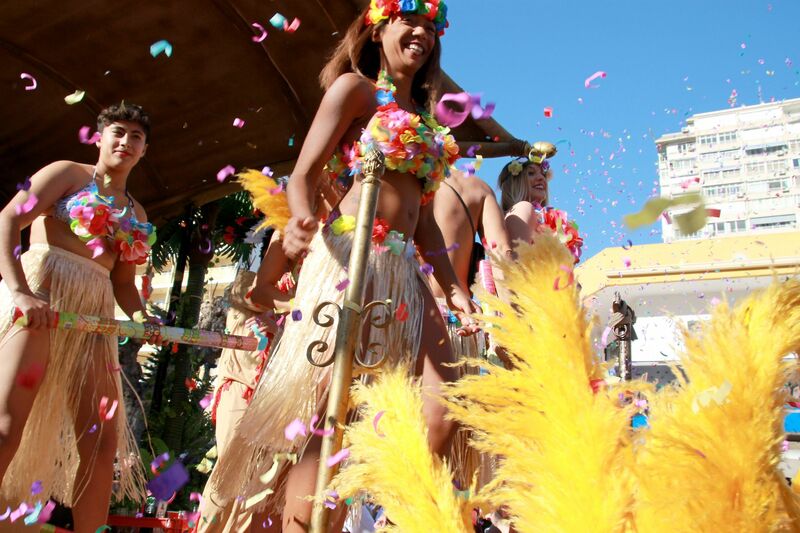 If you’re here for the next party, remember to come and say hello! 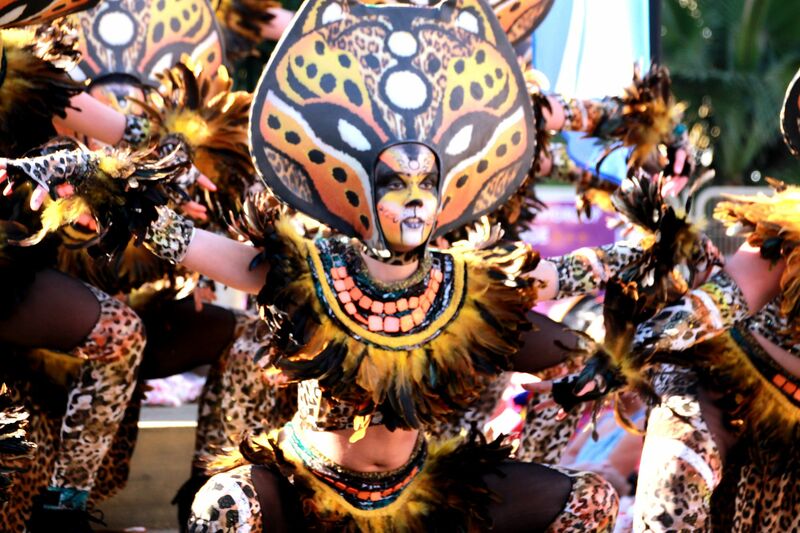 Thank you to photographer Vince Fallon for these photos of the 2017 party.